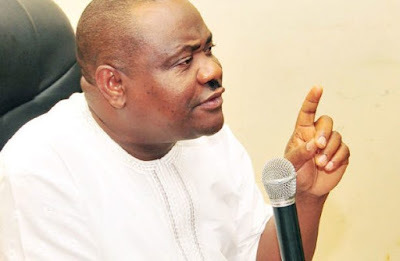 Governor Nyesom Wike of Rivers State has stated that the people and government of the state believe in the in the unity of Nigeria. He stated this when he paid Sallah homage to Sultan Sa’ad Abubakar as well as his Sokoto State counterpart, Aminu Tambuwal on Tuesday. “Rivers State and its people believe in the oneness and unity of Nigeria and that is our stand. Sultan is a father to all Nigerians and he is a peace builder in Nigeria and beyond,” he said. Wike observed that there were better ways to solve the agitation and problems of Nigeria, rather than seeking break up of Nigeria. “My message to Nigerians is for us to call for the unity of Nigerians and continue ‎to work for its unity. For all those who have one problem or another,‎ there are many ways through which we can sit and resolve those problems and not to call for the break-up ‎of Nigeria. “The other time the Sultan of Sokoto was in Rivers and today I have come to pay homage to him and the governor of Sokoto State. “That shows you that we believe in the unity of this country. We don’t believe in the break-up of this country. We call on our people to pray for peace and unity of Nigeria and not to say something that will devide us,” Wike added.